10.000 bonus points available in first 3 months. No APR (interest rate) for purchases and balance transfer first 12 months. Unique services such as Travel Accident Insurance, Lost Luggage Reimbursement, Concierge Services, Visa Signature Perks. Minimum APR rates are good. Maximum APR rates are high. Not best option for bad credits. 1 point rewards point for $1. It is below average. 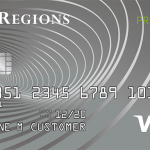 Regions Prestige Visa is one of premium cards of Regions Bank. There are some good travel opportunities which comes with this card. No annual fee is a good advantage for those who don’t want to pay for a credit card yearly. APR is a little bit high but that depends on your creditworthiness. You can find a detailed review below for each facts of the card. There is no foreign transaction fee of the card. So you are not going to pay extra for products which you have bought from other countries and other currencies. Balance transfer fee and cash advance fee are at reasonable rates. 12 months introductory period for APR is also another good feature of the card. 14.99%-23.99% interest rates are not bad. Cash advance and balance transfer fees are also reasonable. No annual fee is one of the upsides of the card. You are going to earn 1 point for every $1 that you spend. We should admit that this is very low. 10.000 sign-up bonus points is not very bad but it is not still very promising. 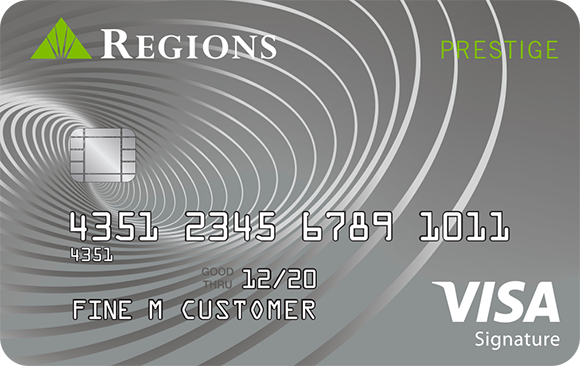 If you have enough credit score to get Regions Premium Credit Card, we recommend you to take a look at that card first. We don’t think that Regions Prestige credit card is very bad but we still think that it is below the average. The card should provide more opportunities to consumers. Despite of no annual fee and no foreign transaction fee, the card has nothing to attract consumers. You can see the rates of the card below. Also editor scores and user reviews. You can see regions prestige visa reviews below. If you are also a user of this card, you can review it. This card was the best one I could get because of credit score. I can’t complain about it. It is just a simple card helping me build credit. There are much better cards with similar credits. I love Regions Bank but this card should be better. They should improve bonus and rewards.